Q. How can I find out whether a journal I have found on the web is good enough to use for my academic work? a. Peer-reviewed or refereed journals are the journals that will use a review process to gauge the scholarship of the article before it is published – and the journal will usually have an ‘Editorial board’ made up of experts who are also the reviewers. To find out whether a journal is refereed, simply check on the publisher’s website for information on the journal and/or open the print journal to the front cover and the names of scholars on the Editorial board will be listed. 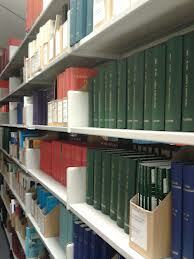 c. If the journal does not have any references or citations, it is likely to be practioner-based. However, this does not necessarily mean you do not use practice-based information for your research but you are advised to substantiate the information you quote from these journals with references from refereed and scholarly journals. a. Check to see whether the journal is still in publication and/or whether the title has it ceased publication. If it is the latter, consider whether the subject/expertise is no longer 'in vogue' or current and/or whether the field has been superseded by something that is more current. b. Check to see whether you can find out if the journal title has changed - this is not unusual as many journals will, at some stage in their publication history, review the title to ensure that the title reflects the journal content and or the direction in which the subject has evolved. c. Check to see who publishes the journal - an academic/university press such as Cambridge, Oxford or Harvard or an established publisher such as Sage or Taylor and Francis suggests that the journal is considered to be appropriate for academic use. Another gauge is to see whether the Library (including other academic libraries) subscribe to the journal. Some journal are open-access and freely available over the Internet via the Directory of Open Access Journals (DOAJ) or a well-known/established organisation such as NFER. Do not dismiss these - but consider the above and check also to see if the journal is indexed by the key databases for the discipline. d. Check to see whether the journal is indexed by one of the key education/social sciences databases such as British Education Index (BEI), ERIC, the International Bibliography of the Social Sciences (IBSS) or the Web of Knowledge (WoK). If not, check to see whether the journal is indexed by the British Library's Zetock service (see http://zetoc.mimas.ac.uk/) and/or whether it is on journalTocs (http://www.journaltocs.ac.uk/), etc. These are links to established academic sites/resources which tell you that they are considered to be appropriate for academic study. e. You may even want to find out who funds the journal to gauge bias – is it a privately-funded organisation, commercial enterprise or is the journal being funded by an academic institution? This will give you an indication of the bias of the journal and the article. All of the above will enable you determine whether the journal is ‘good’ enough’ to use for your research.